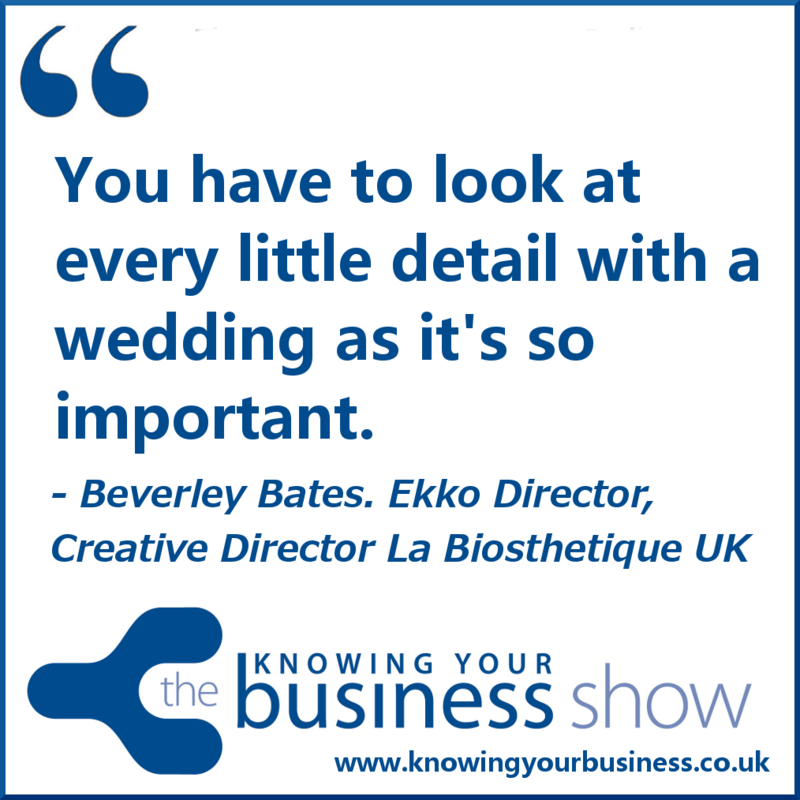 Ekko are well known as Wedding hair specialists based in Banbury Oxfordshire, so we invited Ekko director Beverley Bates on to our very special wedding suppliers show. We heard all about bridal hair styling, and why it’s useful to speak with your hairdresser before the whole wedding planning preparations start. We also found out about some of the wedding hair styling categories Ekko offered; Romantic, Fairy tale, Floral, Vintage, Bohemian, Lady luxe, Grecian, Classic, Ballerineresque, and Rockabilly. A fascinating conversation unfolded. The interview is now available on podcast further down the page. Award winning International celebrant and regular guest presenter Judy Mansfield, asks the all important questions. Show host is Ian Gentles. Judy asks if there are any wedding hair trends. Beverley answers in this 1:38 second snippet. In this 1:20 second clip you can hear a funny little story about Beverley making a wedding veil for one of her Malaysian brides. It’s tradition that the hair dresser makes the veil apparently. 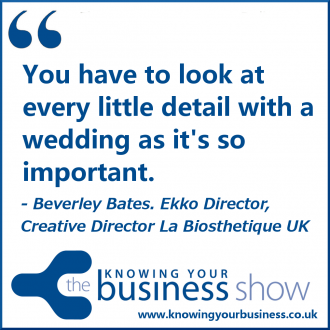 You can hear the full interview with Beverley right here. Beverley is the director of Ekko hair and beauty Salon based in Banbury Oxfordshire, and also owns an education company named Ekko Creative. Creative director for the UK section of French hair and beauty company La Biosthetique Paris. Vice president for La Societe de Biosthetique and Creative director for Creactiv Uk, a youth national artistic team. Ambassador for the brand La Biosthetique and responsible for showcasing the latest trend hair designs and colours on the national and international stage. Responsible for the artistic direction and performance standards in over 800 salons in the UK and is particularly passionate about developing young people. An oasis of calm for today’s busy bride. Katherine Allen is a stunning bridal boutique in the centre of Banbury, Oxfordshire. This Knowing Your Business show was presented by Ian Gentles and guest presenter Judy Mansfield. In the day job Judy is a professionally trained Independent international Celebrant, holding a Diploma in both Marriage and Funeral Celebrancy. She is also available to carry out Celebrancy services internationally. If you have any questions for Beverley, or would just like to leave a comment, please do.